As part of the Feature Pack coming on 15th April 2014, traits are being overhauled. Designed to be made easier for new players to understand, one of the most significant changes will be the removal of training manuals to unlock the next tier of trait (i.e. adept, master and grandmaster tiers). Also included in the update are a revamped point system, the addition of 40+ new traits, and a way to refund traits for free in PvE. We’ve examined each change in more detail below. Once the Feature Pack hits, you’ll no longer be required to pay gold in order to unlock your next tier of traits. New characters will unlock each tier for free; adept at level 30, master at level 60 and grandmaster at level 80. This is definitely a welcome change, both in terms of saving gold and improving character progression whilst leveling. Characters at level 80 will have just 14 points to spend in total on traits, as opposed to the 70 they have now. However, under the new system, each point spent will be the equivalent of 5 points under the current system – so when you spend 1 point, you’ll receive +50 of your chosen stat, as well as a minor or major trait. Due to the change, trait points will begin to be gained at level 30, and one for every 6 levels after that. At level 66, you’ll earn 2 points at a time instead. So why the change? Mostly, to help new players. The new point system will make it easier for players to see how to build their character, as typically the power of traits lie in their minor and major slots, rather than the raw stats. With each point spent, you’re guaranteed a specific minor or major trait, whereas under the current system, you’ll only receive one for every 5 points spent, making it all too easy for new players to spend 4 points in one trait line and an extra 1 somewhere else, and see no real benefit. Finally! Just like in PvP, you’ll be able to refund your traits for free whenever you feel like it (as long as you’re not in combat or a PvP match) using the refund button on your trait panel. This replaces the old system of having to visit a trainer, or purchasing an Instant Trait Reset from the gem store, and pay a small fee. To make it even easier to tweak your build on the fly, a new minus button will also be included below the typical plus button, allowing you to refund one point at a time rather than having to reset all of your points. Trait guides, a new in-game item, will be used to unlock major traits from now on. All existing characters will have their existing major traits unlocked when the release goes live, but any news ones will remain locked until you do something about it (and there are new ones coming, see below!). Trait guides will be unique to the trait; each major trait will have its own guide that you’ll need to obtain in order to unlock it. 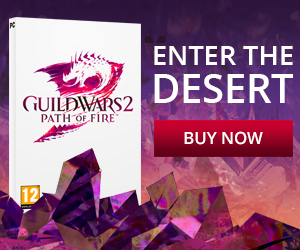 They can be bought from your profession trainer, or more crucially, obtained by completing specific content such as dungeons, bosses, WvW and more. This is a fantastic addition to the game, as it adds another depth of rewards for actually playing through content. You’ll be rewarded for showing skill and determination, and this type of horizontal progression will allow the developers to add further traits in down the line. This trait has been designed to improve the healing capability of elementalists – one of the most diverse classes in the game. Aquatic Benevolence will increase all healing done to allies by 25% of your healing power – which will be the highest scaling in the game. This is a great move towards buffing support-oriented elementalists in a meta where DPS is king. Will we see a surge in this type of playstyle? Probably not, perhaps we won’t see as much raging when an elementalist switches out of fire. With this trait, all newly spawned turrets will receive a 4 second bubble that reflects projectiles. Intended to grant additional support and survivability, this should seen benefits in both PvE and PvP scenarios. This trait is most definitely a buff to guardian’s durability. When slotted, this major trait will grant an extra 300 health to the guardian, taking their total health up to 3,000 from the trait alone (the base health for a guardian is 1,645). For full berserker guardians, this trait seems like it’ll become a must-have. Compared to a bunker/tank spec where 300 health may not be that significant, a berserker guardian will benefit greatly from this addition to their health pool. Unholy Sanctuary is essentially a way to heal yourself (and I mean your actual health pool) whilst in Death Shroud. With this trait active, the necromancer will gain a healing rate equal to the regeneration boon whilst in Death Shroud, which will be affected by your healing power stat. This trait will give necromancers a fair amount of sustain on top of their ‘extra’ life pool, and as it’s not a boon, it won’t be able to be removed by enemies – except for depleting Death Shroud, of course. Mesmer disrupts can often be annoying in PvP; with this new trait, the recharge of an interrupted skill will be changed from 5 seconds to 10 (though it won’t affect skills without a recharge). In PvE, its usefulness may be questionable though as most bosses’ stacks of defiance prevent interrupts. Under the Marksmanship line, Read the Wind will double the projectile speed of longbow arrows. This should reduce the chance for enemies to move or strafe out of your long range attacks without having to use up a dodge roll or block. Invigorating Precision will return 5% of your damage done by critical strikes as healing. For thieves everywhere, this should grant them the sustain they’ve been longing for. As one of the squishiest classes, thieves often have to rely on blinds, well-timed dodges and the occasional shadowstep to avoid taking damage and going down – and when that doesn’t happen, it’s all too easy for a thief to be hit hard. This new trait should allow thief players to remain in the fight for longer, without having to retreat to the shadows whenever they’re getting low. It can be rare to find a warrior that doesn’t use a greatsword in PvE; but if you’re not one and you dual-wield instead, rejoice as this trait will increase your attack speed by 10% when wielding an axe, mace or sword in the off-hand. PvP condition warriors can also rejoice; if you use 2 swords, prepare to apply those bleeds 10% quicker! And that’s it for the trait changes. What do you think about them? Let us know in the comments below! 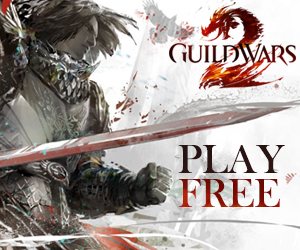 Previous: Guild Wars 2 Feature Pack Announced – Coming 15 April 2014!